The choice to study in Australia is easy. However, it can be hard to find the right information regarding international study, especially if there is a language barrier. Have you ever thought about studying in Australia? Has the internet made your searching even more confusing? Or are you unsure about what course to do and how to go about it. Well don’t worry, we’ll guide you along the way and make sure that you choose the right course, with a cost that you can handle, in a destination that works for you. Our service is FREE! We realise that these decisions can be very difficult and time consuming. We want to make sure that this website gives you the best information and necessary tools so that you can make informed and beneficial decisions. We want you to be comfortable and certain on what choices you make and that is why we are here to help to make that transition easier and turn your idea into an excellent educational opportunity. That’s why the Go To Australia is helping new and current international students to find study in Australia options. Our services make the transition to international study in Australia smoother and easier. Study in Australia Program - Go to Australia is here to provide a free support regardless of which Australian study program you select. Free Study Australia enrolment service. Receive benefits when you apply to study in Australia with us! International students will find our study in Australia guide helpful and get individual information in one-to-one assessments, via email, skype or the phone. Irrespective of your age, gender and education background, Go To Australia can help you identify the opportunities and the experience that the life down under offers. Information on how to fullfil the requirements to study in Australia + guidance on how to apply. Help in finding courses and educational institutions (University, College, TAFE, Language School, High School) everywhere in Australia. Information on English Language Tests, if required, and on discounts on English courses. Preparation of all your application forms – you only need one set of documents for all your applications (certified copies of your academic and work results, references, original English test results etc). Translation of your documents, organise additional certified copies and submit your application to the Institute for free. On-going support after an application has been submitted. Support on visa issues such as application, extension or renewal. All international student services are free. Contact our international student agency to receive more information about current benefits! Registered education agents help you to study in Australia, find courses and get accepted. Use our free study in Australia services to find out about course requirements, institutions, scholarships, visa conditions, applications, studying and living in Australia. As the next semester approaches, please submit your study in Australia application ASAP, so that we can provide you with a speed service. Get your visa application processed successfully. Identify the course and the university you wish to study. Take up foundation, bridging or English language course prior to your admissions. Find out pathway courses in case you don’t have the required marks to qualify for a university course. Avail scholarships to assist your tuition expenses. 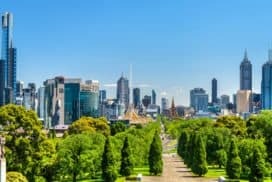 With a combination of world-class educational programs and a safe multicultural lifestyle, Australia is cementing its reputation as the destination for international students. Boasting a large existing international student population, Australian universities are an attractive option for students seeking a diverse educational experience at an affordable cost. These tertiary institutions provide a wide range of degree programs across both undergraduate and postgraduate study, including coursework and research. Graduates leave university with internationally recognised qualifications and the experience of life in another country. Students can use their free time to travel or work. Students can benefit from quality student support services that can assist with everything from accommodation to English courses for those from non-English speaking backgrounds. Free advice about how to apply to study in Australia! We are a registered office and are subject to the guidelines of the respective Australian Education Departments when it comes to the care of international students. 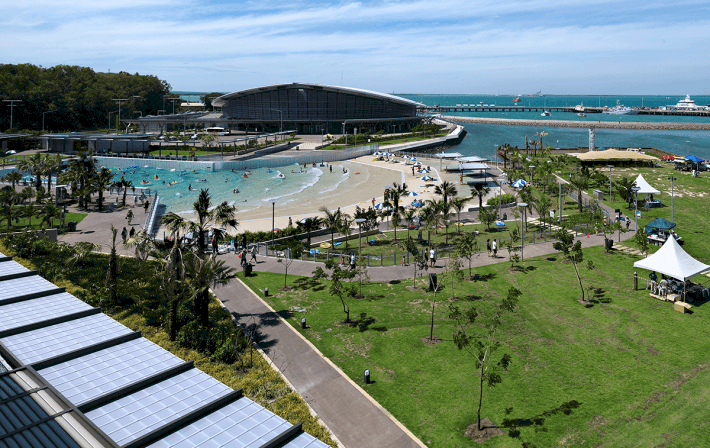 You can reach us via our contact form, email (info@gotoaustralia.com.au) or chat. We answer your inquiry within 24h. Please note: We can translate your academic records which are not in English language for a fee. Students applying for a Bachelor or any other undergraduate course are required to submit a secondary school certification and transcripts (report cards) of their final examinations. The certification should be compiled by a school official such as the principal/ headmaster. This form should describe you in the context of your entire school experience in relation to the other students in your class. Admission committees will be interested in discovering the manner in which you have performed in your own education system. The school report should address your accomplishments and state the chance for success in studies at an university-level. Students applying for Graduate courses (MBA, MS etc) must submit an official transcript from each university or college that they have attended after secondary school with complete details of the subjects, credits involved and other details such as correspondence courses, diplomas etc. Many universities ask for the transcript to be sealed in an envelope and signed and attested across the seal by the registrar. This course of action is to be done for each and every higher learning institution that you have attended. Some universities may ask for several transcripts, however, most require only one. If the transcripts are in a non-English language, then it must be translated into English only by the issuing authority or university, otherwise it may not be acceptable. Late applications may be accepted if places are available. Please note, some universities close strictly and no late applications will be considered. You may contact us for closing dates. When you picture your time overseas, you picture the excitement to be had and the memories to be made. Unfortunately, stress, uncertainty and unforeseeable problems can arise in both the planning process and your time overseas. This is when we step in. At Go To Australia, we aim to support and advise international students and travellers throughout their time in Australia – free of charge. 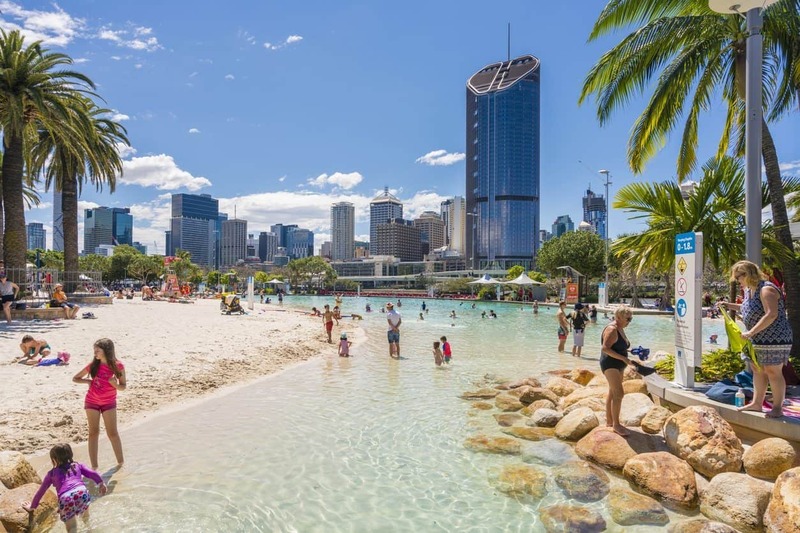 Australia prides itself on its hedonistic and laid-back attitudes, as a tourist it is your right to experience this and with Go To Australia you have access to guidance, advice and hands-on help every step of the way, from the planning process right through to your flight back home. 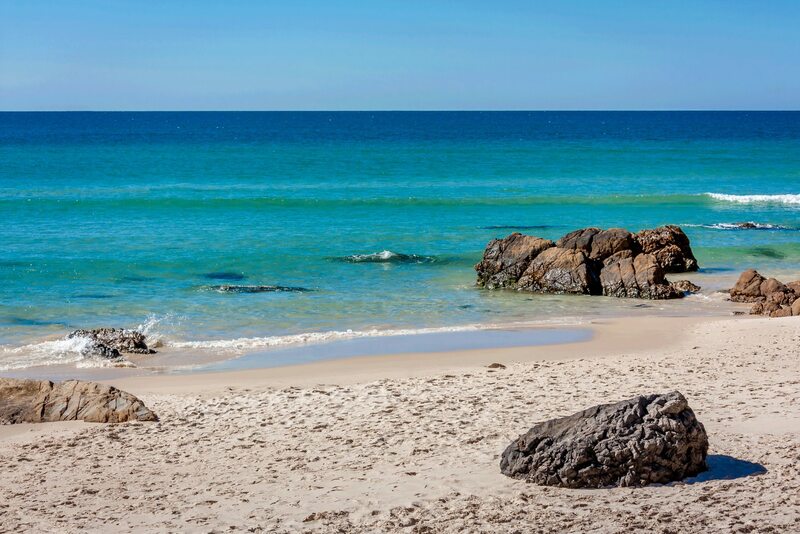 It is our goal to ensure your time in Australia is as stress free as possible. Prompt answers to your general concerns. For example; accommodation, visas and common costs. Help filling in forms required for study and travel, we will even cover the cost of postage if you email your forms to us. Information about education institutions in Australia. Flight information and other transport issues. 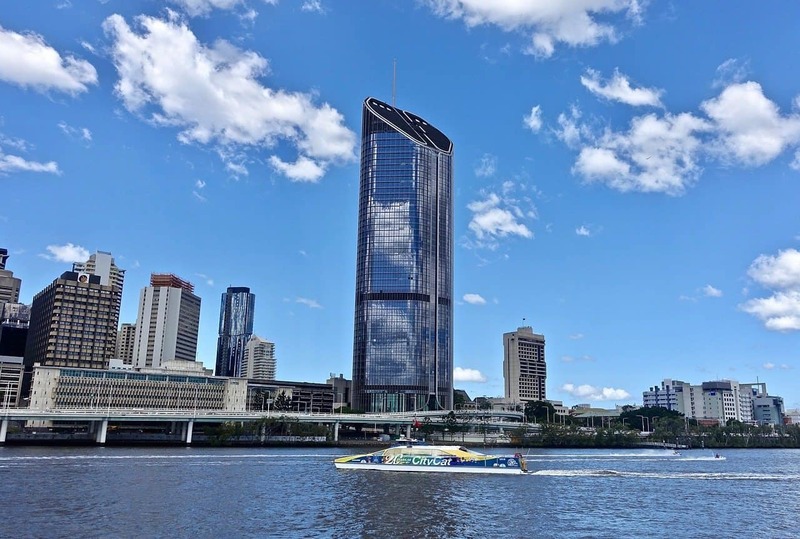 Best of all, if you can’t find what you are looking for from our comprehensive website, you can contact us directly from our Brisbane office for advice either via email or over-the-phone. Due to our prestige as a recognised Australian education agent, by applying through our services your application to study in Australia or New Zealand will be fast tracked ahead of those without an education agent. As our services are 100% free, you have nothing too lose – except the stress. Australia is highly respected for its world class education system and the possibilities it offers to students from across the globe. 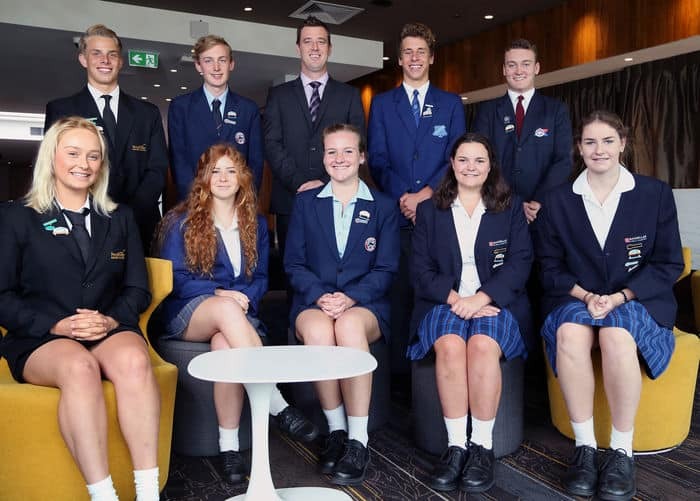 Home to many leading experts in a variety of professions, the Australian education system proudly extends its hand to students wanting to expand their learning opportunities in a safe and welcoming environment. Studying in Australia offers international students a globally recognised qualification. An increasing number of international students are choosing to study in Australia. Australia has the third largest number of international students behind the USA and UK. Nowadays Australia is a students' premium study destination. Living expenses and tuition costs in Australia are considerably less expensive than the UK and USA. Multicultural Australia is a safe society in which students can learn and travel in an English speaking country. Australia also offers excellent value for money and a standard of living which is among the highest in the world. Australian qualifications and institutions are recognised globally for their high quality and excellence. Graduates from Australia are very successful in finding jobs and hold prominent positions worldwide and are also accepted for postgraduate study at leading international universities worldwide. Please contact us for more information about study in Australia. Australia is certainly one of the most visited countries internationally, and is a preferred destination for tourists and international students who come in large numbers to pursue their education. However, it is ranked as the third largest country in terms of attracting international students. Since, it's an English-speaking nation and given that English is the most widely spoken language in the world. Most people would not have language barriers. Its quality of education is very evident; looking at the number of students applying for further education from different continents, races and countries. The education system is known to make students innovative, creative and self-reliable. Those that have been through the system can attest to that. Its education system enjoys a very good reputation worldwide. The power of money cannot be underrated; Australia has enjoyed economic prosperity for a very long period of time. If you are in search of greener pastures then certainly this is a place to reap good benefits from your sweat. Given, that it is a multicultural society with very good tolerance levels. Foreign students may find it easy to mingle with the locals and also find other students from their respective countries of origin quite easily. Comparing Australia as a choice to further ones education to the other developed nations like the United Kingdom .Once you finish your education, you have better chances of getting a work permit. Unlike the United Kingdom which has denied graduate medical students from acquiring work permits; after years of the misguided belief that once graduated they would get work permits. Though, issues touching on work permits are highly controversial given the levels of unemployment in most developed courtiers. The rate of mass immigrations is also quite high at times raising fears of whether the national cake is enough to feed the numbers. Talking of hospitality and kindness, Australia been a less populated country and with a lower GDP than the United States and Canada. It offers more scholarships to the needy- both to local and international students. For those that have security concerns, Australia is one very secure place for the locals and international students and you need not worry about security. If you are looking for a study destination then Australia is the place to go. If you are in search of tourist destination Australia still remains the place of best choice. Excellence of the Australian education system - education standards rank amongst the highest in the world. Recognition of Australian qualifications - Australian qualifications are widely recognised and accepted when seeking employment or further study. Flexibility of the Australian education system - multiple institutions offering a wide variety of courses with flexible delivery methods. Work/travel - there are opportunities for students to travel and/or work whilst studying. Special protection and care for international students - government legislation and codes of conduct operate to regulate the industry and protect students. Value - the combination of low cost of living represent good value for money. 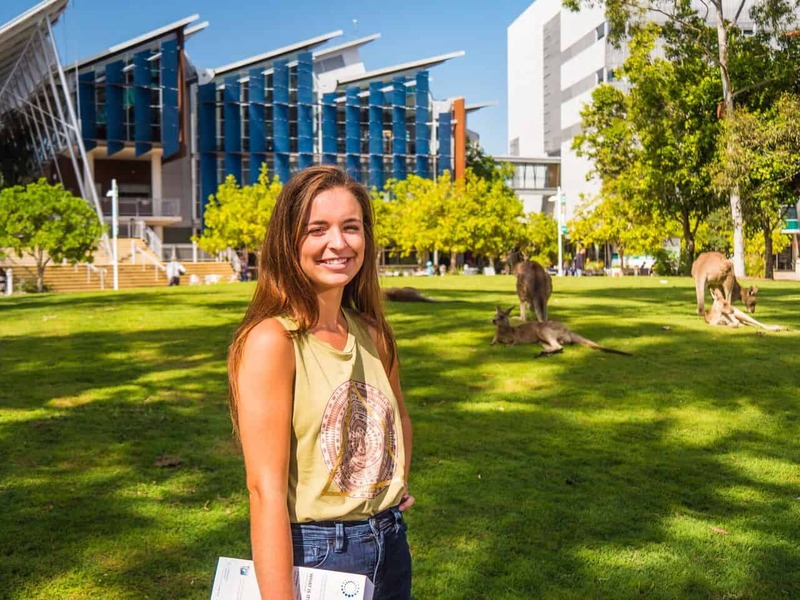 The Australian Lifestyle - favourable climate, safe and stable environment, attractive surrounds and friendly people make an enjoyable place to study. Multicultural Australia - overseas students are welcome in Australia’s multicultural society and can apply for a student visa. Support for international students in Australia - networks of support exist to help students in all aspects of their stay in Australia. So, what are the benefits of studying in Australia? Australia is a multicultural society where roughly 25% of Australian citizens were born overseas. Australia has over 100 different ethnic groups that make their home in Australia and Australia has some of the best weather, beaches, night clubs, pubs, parks, rainforests, lagoons, waterfalls, and wildlife on the planet. The people are friendly and relatively good natured a lot of the time and will give you a ‘Fair Go’. Australian education qualifications are accepted throughout the world and you will have an opportunity to study at some of the finest and most respected institutions that the country has to offer. 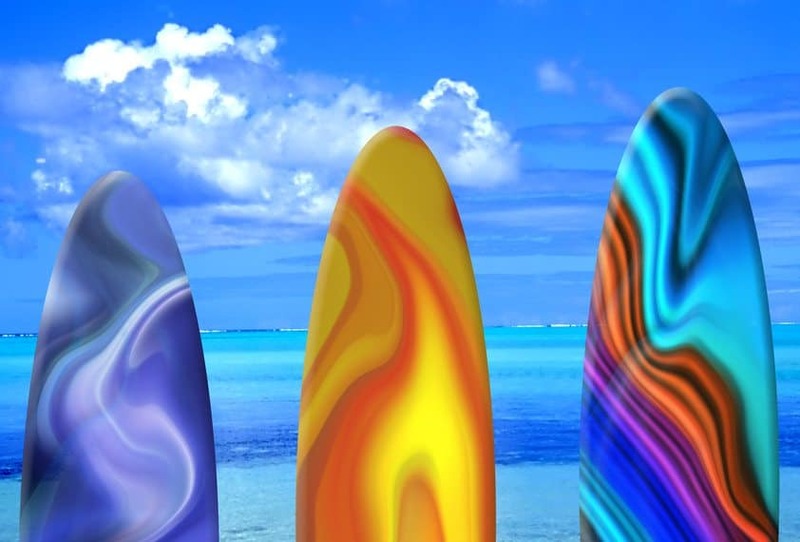 There are also a range of sporting clubs, cultural organizations and art forums that you can join. Australian educational institutions offer high quality outcomes and par well with North America and Britain in cost. Australian educational institutions are very democratic in they way they are administered and laid back in style. But the credentials that they offer are second to none. Australia also has many of the amenities of Europe and has one of the best communication systems in the world. And it is easy to access money in Australia and there are banks in Australia that you can get accounts with that have ATM’s, on line banking and face to face customer service. The Australian banking system survived the last recession relatively unscathed and all accounts are insured by the Federal Government. An international student can also bring $10 000 into Australia undeclared and much more if they declare it. Money orders, promissory notes and other financial documentation can be brought into the country as well. As an international student who holds a visa with the subclass designation of 8105 you will only be allowed to work 20 hours per week during the semester, so you will need to have funds of $400 per week to live in Australia without hardship. But work for international students in Australia is common, if not glamorous and you can pick up part-time work relatively easy. Life in Australia is good, the country has one of the lowest crime rates in the world and the weather is temperate most of the year round. So consider Australia as a study and travel destination. International students have many advantages when enrolling in the Australian education system. The system offers access to 12,000 internationally recognised courses that are of world-class standards. This combined with tuition fees, which are affordable in comparison to other western countries, makes the system alone a highly-praised one. Add the fact Australia is a safe, friendly, multicultural, modern and technologically advanced society with living costs also favourable compared to the UK, Canada and the USA and you have a destination to live, learn, work and play. The education system requires all institutions, starting from schools to universities, Australian Vocational Education and Training colleges and TAFE's to be registered with their State Department of Education Services in order to provide education opportunities to international students in Australia. Registration conditions ensure that courses are of high standards in both ethics and quality as laid down by the Federal Government. Emphasis is placed on not only understanding concepts but also on their applications and theories, and the ability to critically examine different viewpoints and arguments, to collect and analyse data, to develop logical arguments and to participate debate and discussion with other students and teachers. The Australian Education system is advantageous indeed for international students, offering as it does access to a wide range of facilities and qualifications. Many of these incorporate on-the-job training and instruction, as well as placements into a variety of industries. Australian universities and tertiary education institutions are internationally renowned and recognised, further ensuring that a graduate will be regarded as possessing a valuable, useful set of qualifications and is desirable as an employee. Australian graduates, in fact, are regarded as being of a high standard around the world. In addition, Australia is a largely neutral country, making it a viable location for students from regions that have endured a troubled or unsettled time of late. The country is economically and politically stable, making it viable as a destination not just for study, but also for work prospects and migration, if the student is so inclined. Australia is also a melting pot of cultures and creeds, one that is truly more than the sum of its parts and values both blue-collar and white-collar work in equal measure. Last but not least, Australia is a friendly nation, one that welcomes visitors and immigrants alike with open arms. Go to Australia Agency is an internationally recognized organization that aims to create global citizens who can cross cultural boundaries with confidence and skill. Go to Australia Agency provides services for those people wanting to travel and/or study in Australia. Go to Australia Agency provides expert counselling across all the above areas of their organisation. And now Go to Australia Agency has developed a program for young people between the ages of 18 and 30 who want to come to Australia as an Au Pair. 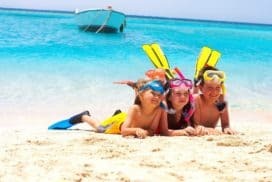 The same services that are offered to people wanting to go to university, or do vocational training in Australia will be offered to people wanting to come to Australia and work as an Au Pair. Go to Australia Agency offers an exceptional range of services that are free of charge, and they can be accessed 24 hours a day while you are in the country, so you will have an effective and professional support system there for you at all times. Go to Australia Agency is a globally affiliated organization that seeks to open multiple pathways for people wanting to come to Australia and study and travel. So consider studying in Australia. Walking down any suburban Australian street you will notice the many people who are obviously not Australian, yes I am talking about the man international students who seem to have taken over our once very Aussie streets. I find myself asking the question 'why?' Why do we have so many students that are from different countries. Is it the fact that the Australian government gives you a lot of support to study. Is it that it is cheaper to study in Australia? Or is it the fact that we have well qualified lecturers and teachers, smaller class sizes and more facilities then the rest of the world. The thing is you just don't realise how well off our country is in regards to Education unless you have been else where or have spoken to a student from another country. share it with the rest of the world and apply for your Australian Student Visa now? Regional universities in Australia offer the chance to study and work in areas that provide the opportunities to migrate permanent after obtaining an university degree. Australia supports those regions with extra points for their skilled migration visa and students have the chance to make valuable contacts for their future work. Australian education has developed out of a competitive environment with universities and high schools vying for international students. Therefore the educational standards are high and each student is treated with a focus that is not necessarily available in more populated countries. Care is taken to integrate international students into the educational environment. For example support is available for development of written and spoken English. Choosing to study in Australia will provide you with exciting and progressive world-class education programs. Australia is a great deal for students looking for international education. 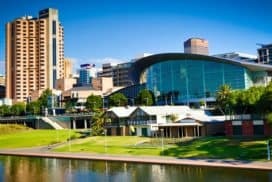 Where to Study in Australia? Go To Australia offers a diverse range of Australian study options to choose from. Australia is a diverse country. A range of different landscapes, cities and villages can be found here. From the wild southern ocean, bush in Tasmania, the desert in northern territory, to the tropical north with its white sandy beaches. Australia has a lot to offer. Study Australia Requirements - Registered education agents will assist you to study in Australia, find courses and get accepted. We can provide free advice in relation to your education options and in applying to a college, TAFE, university or language school. This may include assistance in preparing student visa applications. It is recommended that you seek advice about meeting the entry requirements before applying for admission into your selected courses! Our counsellors are happy to discuss any issues in relation to studying in Australia, contact us for more information. We can give you assistance with all kind of international student issues. amongst other matters. For further information on visa requirements and assessment details please refer to our education and immigration agents. English language proficiency is now a requirement when applying for a student visa. The IELTS is the only test accepted by the Australian Department of Immigration and Multicultural Affairs for student visa purposes. Some visa Assessment Levels accept the IELTS entry levels required by the education institution. Australian education institutions can only accept students with an appropriate level of English proficiency. Institutions set their own English language requirements and may have different IELTS entry levels for the proposed level of course than those required for a student visa. Intending students should check the entry requirements for their proposed institution with us. Need help to find an appropriate English language course in Australia? Most international student find Australian teaching styles to be different then to what they are used to; in Australia there focus is on practical learning, that encourages thinking outside of the box, on creativity, on independent thoughts and debate. Teachers aim to provide you with a thorough understanding of a topic rather than just teaching the basic. You are expected to develop your own thoughts and share them with your fellow students during classes; it is encouraged to discuss new ideas and to have a voice in the classrooms. Class participation is an assessable part of your grade. Classes at university will be a mixture of lectures and tutorials. A lecture might be attended by up to 200 students from different courses within your discipline. A tutorial is a much smaller, with only about 30 students in attendance. Can be different than what you are normally use too, up to 200 students, might be intimidating at first but it can be lots of fun to hear everybody’s ideas and thought on various topics. You will discuss the information provided in your lecture with other student during the tutorial. Is important that you contribute to the discussion on the topics if your courses and play an active role. All your ideas are encouraged to share them in the group; the professor will get to know you better too through your participation. Your final grade for a unit will be based on how well you performed in your assignments, these includes class participation, exams, attendance and group exercises, projects, oral exams, oral presentations e.g. Depending on what course in which you are enrolled, you may be assessed throughout the semester week by week instead of a final exam the advantage of this is you do not need depend on one single piece of assessment or project. If you don’t perform too well with the assessment, the final examination at the end of the semester can increase your final grades, and vice versa. Plagiarism is when you take someone else work and present it as you’re own. This includes copying clocks of text from reference books into your own assignment and neglecting to ‘reference’ or ‘credit’ the original source. Plagiarism is a very serious offence in Australia and there are harsh penalties for the practice that may include an automatic fail of your unit, or may put your student visa in jeopardy. If you wish to use someone else’s work, all you must simply do is reference the person from which you are borrowing the information, is always good anyway to use sources to present a stronger argument in your work. Australia is committed to providing quality education and training to international students, but you might still encounter some issues with your course and institutions, the government has enacted a number of laws to ensure you are protected at these times and is important that you understand your rights. These laws like ESOS under the Education services for overseas students means the institution is there to help the student in the translation of the environment and with any other issues that might develop. The ESOS legislation provides consumer protection if a student or institution defaults on the course the student is enrolled in. It protects against a refund of course money to the student or if is not possible a placement into an alternative course through a Tuition Assurance Scheme, for example, according to the Australian government guide for international students. Institutions must ensure that the marketing materials, like brochures and handbooks are provided to the international students are accurate, not misleading and up to date. Institutions must support international students in adjusting to study and life in Australia, achieving their learning goals and achieving the learning outcome of their courses. Counseling, orientation, answering questions, academic progress, professional assistance, personal life support, accommodation, information for further studies. If you concerns about your courses or institution you should first try to discuss them with your education provider. The international office at your institution can advise you on the best way to handle your concerns. Your International Office is a great place to being looking for help, from setting up a bank account to sorting out your enrolment. You should introduce yourself the first opportunity that you get, even right after you arrive in Australia and starting making good use of their services for students just like you. The more you pass by the more they will get to you and remember you and it’s a good reference to have in the future. Your institution will also have student counselors who you can talk to if you are having problems adjusting or just need to go to someone for advice on courses or institutional related. As an international student you have a range of services just waiting to be used by you. Students have special support offices to help find their transition a little easier and their experience is always at the end a little more rewarding. International Student Advisors (ISAs) in your International Office will guide new international students through orientation programs designed to help them understand the Australian education system and become more familiar with the campus, support services and clubs. They will explain the institution’s structure and governance, Australian culture and general issues associated with living in a new country. Don’t be afraid to talk to your International Offices student counsellor at any time. All discussions are considered strictly confidential. Institutions offer services for student who require a little more assistance with their studies due to a disability or chronic medical condition. These may include voice recognition software, hearing aids, or note taking services are more than settled into the environment with assistance from the school and institutions, to see if you qualify just contact your institution immediately. Qualifications obtained in Australia are accepted all over the world by the top employers and education institutions. All enlisted English Language Intensive Courses for Overseas Students (ELICOS) suppliers in Australia are bound by the National English Language Training Accreditation Scheme (NEAS). The Scheme is internationally-acknowledged as the top standard for English language tuition, and is consequently being used around the world. The National Office of Overseas Skills Recognition (NOOSR) acknowledges qualifications that you’ve completed in other countries prior to studying in Australia. All Australian education providers who teach international students must be registered for the Commonwealth Register of Institutions and Courses for Overseas Students (CRICOS). There are also extra Western Australian laws which require education providers to adhere to strict codes of conduct. For education providers who are legitimately registered to enrol students, a set of rigorous standards are applied. All institutions adhere to a legally-enforceable National Code of Practice 2007, which sets first-rate standards and assurances in the areas of syllabus, qualifications of teachers and student facilities. The Education Services for Overseas Students (ESOS) Act 2000 ensures that people on a student visa are looked after through training services, tuition and financial stability. When choosing a study destination overseas there are a number of important things to think about before reaching your decision. Australia has a world-class education and training system, which welcomes students from other countries. Students go to Australia from many countries because of the high standard of education offered and because Australia is an attractive, friendly, beautiful and safe place to live. The Australian Government and Australian education and training providers have joined forces to establish the Australian International Education Foundation (AIEF) to promote internationally the high quality and standard of education, training and research opportunities which Australia has to offer. The partnership embodied in the AIEF reflects the commitment from all parties to promote and deliver quality education and training services and to pursue excellence in international study and research. Australian education institutions offer a broad spectrum of courses ranging from English language training at school to advanced areas of post-doctoral work. There are also opportunities for international students, teachers and university staff to undertake study or research in Australia through award and exchange arrangements. Flexible programs of study, which can combine English language courses with study in other fields, are also available to cater to the diverse needs of international students. Australia compares very favourably with other more traditional destinations considered by international students. In 2002, nearly 80,000 students from over 12 countries came to study in Australia. Below are some of the reasons to help you in your final decision - which may well be one of the most important decisions in your career. Australia's education system is of the highest international standard. Degrees, diplomas and other awards receive worldwide recognition. For students coming from Asia and the South Pacific there are frequent direct air connections to the east and west coast of Australia. We also have similar time zones. Australia's multi-cultural society makes it a very attractive option for both non-English speaking and English speaking students. Because of Australia's vast size and the consistently high standard of education and training delivery, one of the most difficult decisions for any international student will be deciding where to study. Universities, colleges and schools are not only situated in all the larger cities, but many are also located in small rural towns and coastal villages. Australia's size also offers an enormous diversity of climate to suit all tastes. Choices range from cool and moist to hot and tropical, with regions in between enjoying a warm temperate climate. Most institutions offer excursions for international students to places of interest, both locally and, quite often much further afield. Australia is one of the most beautiful countries in the world to discover and should be a priority for any overseas visitor. Australia's living conditions are among the highest in the world and the generally fine weather encourages a healthy, relaxed lifestyle with a strong emphasis on outdoor life and sport. There is an abundance of fresh, local produce, meat and local seafoods. Specialty imported foods are also widely available. Living and tuition costs compare favourably with other countries of a similar standard Australia is strongly promoted as a multi-cultural society and has become home to a wide variety of citizens from numerous ethnic backgrounds. International students should have no difficulty in meeting others from their home country, and neighbouring countries in their region. Australian Universities, Are they a study option? It’s appealing isn’t it? A few years studying abroad, down-under. Studying in Australia may not only be a sunny option, it could be cheaper than studying at home. Australia spends millions of dollars marketing to and recruiting off shore students; Australian institutes of secondary education, Technical Colleges and University are filled with intellects from all nations. Given that Australian degree courses are short, typically 3 years to study for a Bachelor degree, occasionally 4, this is for many an attractive study option both in terms of time and finance. The most common degrees in Australia are a Bachelor of Arts (BA) and a Bachelor of Science (BSc). Master of Arts (MA) or Master of Science (MSc) takes one year post Bachelor degree and typically for this year you study a different subject to that of your degree. 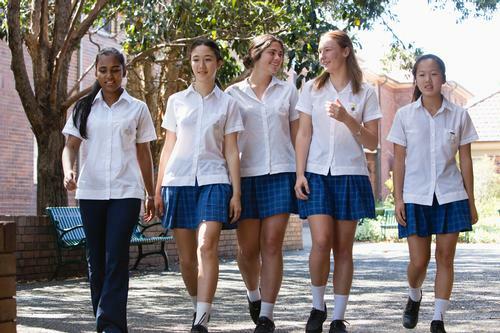 Whilst 18 is the age students go to University here in Australia, the really brilliant are accepted younger and today there is also large percentage of ‘mature’ students. Campuses range in size, 10-30 000 students and often specialise in a discipline. Fees for Australian universities vary according the course but the average course costs between $10-15 000AU per year. For overseas students, each application is individually considered and qualifications which would admit you to a university in your own country. Not Sure about a Uni but Technical Colleges Sounds Good? TAFE colleges are government run and whilst universities offer a range of full degree courses, Technical and Further Education (TAFE) colleges, offer courses that are shorter and/or are technical/practical. Typical courses are: pre-apprenticeships, apprenticeships, trade, post-trade, technician, commercial and general courses to certificate level. Courses often work alongside the relevant industry and job that a student is in and study can be part-time or full-time. The end qualification is a certificate, diploma or advanced diploma. Degree and university entry courses are also available at some TAFE’s. International students don’t need to do the Australian Senior Secondary Certificate of Education to be accepted into an Australian University, but, the prospective student needs to show that they have a year 12 qualification (or equivalent) to be accepted to an undergraduate degree or diploma. General English, Academic English, Business English, English for specific purposes, Summer programs, English Test Preparation programs (e.g IELTS preparation), English with internship programs. Many people come to Australia to study English through the many programs that are on offer. Not only are the programs are of a very high standard, but also are enjoyable and a great place to meet like-minded individuals. There are range of programs on offer, each one designed to cater for different needs and aspirations. You can do a holiday course, English related to business, or do an English course that gets your language ability to that of university level. All language programs are of the highest reputable standard and are constantly scrutinised so as ensure a high level of quality and to maximise better outcomes for students. Both public and private institutions offer language programs and each one varies in duration so as to allow students to find exactly what they want. There are also close ties between many of the English language programs and Australian Universities, making the transition from an English program to a university one easier. Certificate I, Certificate II, Certificate III, Certificate IV, Diploma, Advanced Diploma, Vocational Graduate Certificate, Vocational Graduate Diploma. Vocational and Education and Training supplies students with skills that are directly relevant to Industry. A VET qualification can allow a student to move into University studies, or to develop greater expertise in a particular area or field. The skills learnt in VET programs have been purposely planned to equip students with the necessary skills needed for Industry. There is a strong practical nature to the program and a skills focus that tailors students learning to what they need to know when they move into the workforce. Vet institutions can be both publicly and privately funded. Attainment of certain VET qualifications is recognised by Australian Universities and can shorten the duration of a Bachelor Degree or give a student a greater eligibility in being accepted into a university course. If you are interested in going on from a VET program to a university course, it is important to contact your VET institution to discuss the options you have and how your VET accreditation will impact the university course that you want to do. Successfully finish years 10 to 12. Successfully finish years 10 to 12 or a corresponding year 12 qualification. Successfully finish a certified Bachelor Degree or in some cases significant and related experience in the specified field. Successfully finish a Bachelor Degree and an Honours Degree (one year). Or finish a Masters by Research Program and/or a Bachelor’s degree with significant and related experience in the specified field. 1.1 What sort of institution would suit your studies best? When choosing your preferred type of education, you should take note of qualification prerequisites, commencement and duration, facilities, reputation of the institute, the environment in which it is located (eg urban or rural, climate and extra curricular activities available on and off campus as well as religious facilities), accommodation and quality assurances. You may also want to take into consideration the opinion of friends who have previously attended the same institution and the proximity of friends and relatives to the institute. The majority of international students in Australia are full-fee paying students and are not awarded scholarships. Unfortunately student loans are not available for international students who study in Australia. When choosing an institute to study at, you should consider fees. Fees vary according to the institution and the type of course. For example, those that require a large amount of laboratory and fieldwork are more expensive than an arts course. To be granted a student visa you will need to declare your financial ability and in most cases you will need evidence of having sufficient funds to pay part or all of your tuition fees. If you intend to work while studying, then the money you earn should only supplement your income and not be your primary source. You can only apply for a new student visa with work rights after you arrive in Australia and have begun studying. You will only be permitted to work a limited number of hours, so be sure to calculate your funds and your earnings to cover the cost of study and living sufficiently. Universities offer many undergraduate and postgraduate courses covering fields of study such as agriculture, business, economics, education, environmental science, engineering, health sciences, humanities and social sciences, information technology, law, mathematics and computing, medicine, science and visual/performing arts. Vocational education and training institutions offer practical, career-orientated courses, including business, computing, marketing, tourism and hospitality. The Australian Qualifications Framework (AQF) covers 12 different types of qualifications to help students find a suitable course anywhere in Australia. The AQF helps students determine the appropriate level courses through your existing qualifications and previous studies. By law, all Australian education providers and the courses they offer must be accredited and registered by the Australian Government. This register provides information on institution services and locations, courses and their duration and tuition fees. It is helpful to seek information from more than one education provider before making a decision on a particular one. 2.3.1 Do you meet the English language requirements to study in Australia? You will need to have a certain level of English language proficiency as a requirement for applying for a visa and for most university and vocational education and training courses. You will need to meet the minimum score in the IELTS English language proficiency test and/or a period of English language tuition. You should check with each education provider what English language proficiency tests are recognised and what the minimum score is for each course. Foundation Studies and secondary schooling prepare you for further study in Australia. There are many English language courses, with starting dates throughout the year, which will help you with further studies. 2.3.2 Do you meet the academic requirements to study in Australia? Students must meet a minimum academic requirement to be accepted into specific courses. Each institution sets its own entry requirements, so they may vary from one education provider to another and from one course or faculty to another. Some courses also require relevant work experience and this may be particularly important in relation to MBA and other postgraduate studies. You may be asked to provide evidence of your academic achievements and English language proficiency to assess whether you meet the entry requirements for your proposed course of study in Australia. Institutions will look at the level and content of the study you have completed in Australia or your home country. If you do not meet the entry requirements you can enrol in secondary school in Australia or Foundation Studies, which prepare you for further study in Australia and reserve a provisional place in your proposed course. Bridging courses, such as a Master Qualifying program, are also offered. It is recommended that you seek advice from the education provider about meeting their entry requirements before applying for admission into your selected courses. We can provide you with a list of Australian institutes, application forms and advice. - Previous study details, including copies of qualifications already awarded to you. If you are unsure what documents to include then contact us. If you are currently in the process of completing other studies, then you may be granted provisional acceptance on the basis of your previous academic performance in anticipation that your final examination results do not differ greatly from your previous grades. After completing your study in Australia application form, you should attach all the required documents and submit them direct to us. You may wish to use registered post to ensure the documents are not lost in transit. After the education provider assesses your study in Australia application documents, they will advise if you meet the entry requirements and send you a letter of offer if you are accepted. You may be required to submit yourself to a pre-visa assessment before the institution issues an Electronic Confirmation of Enrolment (eCoE), which is the only accepted evidence of enrolment for processing student visa applications. Before applying for the student visa, you may have to pay tuition fees. We will advise you of specific requirements. You are generally required to pay at least one semester of fees. International students must have a valid student visa for the duration of their study in Australia. You should check with the Australian Embassy in your country to see if you are eligible to apply for a student visa before obtaining official confirmation of your enrolment and paying tuition fees. You will only be issued with a student visa for study in Australia if you seek to undertake a full-time course that is accredited and registered by the Australian Government. The Department of Immigration and Multicultural Affairs (DIMA) also has offices in many countries, please check their website for locations. 4.2 Where can I get the visa application forms? Visa application forms in English, Portuguese or Spanish can be downloaded from the Department of Immigration and Multicultural Affairs (DIMA) website. Contact your nearest Australian Embassy or DIMA office for application forms in host-country languages. Most students will need to fill in the Application for a Student (Temporary) Visa Form 157A. US Study Abroad, Norwegian and Swedish students over 18 years of age can apply for an electronic student using Form 157E on the DIMA website. 4.3 Where can I get help with filling out a visa application? Because of the design of the visa application form, you should be able to complete it with minimal assistance. The DIMA website has visa information forms available to download and provides more detailed information on student visa requirements. If help in obtaining a visa is needed, please contact a registered migration agent through the Australian Embassy or DIMA Office where a list of registered migration agents is available.You will be asked to have a medical examination as part of the visa process and will be given a list of approved doctors. The doctor will need to complete a special form. 4.4 Where do I submit the visa application? Send your visa application form together with the correct visa charge and all necessary documents to the nearest Australian Embassy or DIMA Office. In some circumstances you may have to send the documents via the institution you have applied at. All students must show evidence that they have health insurance cover before a visa can be issued. In many cases you can pay the compulsory medical insurance premium (Overseas Student Health Cover, (OSHC)) to the educational institution, which will pay the health insurer on your behalf. If you are a student sponsored by AusAID you will not need to pay the OSHC yourself, but will need to provide proof that AusAID supports your application. You will be issued with a Multiple Entry Visa allowing you to travel to and from Australia within the period for which the visa has been granted. That period will depend on the course for which you have been accepted. Your visa may be cancelled if you discontinue your studies or fail to meet the conditions of your visa. 4.7 What if the student visa application is unsuccessful? If your application is not successful you will be given the reason in writing. You cannot apply to have the decision reversed if you applied from outside Australia. Before re-applying for a student visa, carefully consider what evidence you can provide to meet all the requirements. If you apply in Australia and are refused a student visa then you may apply for a review of the decision. You will be notified of your review rights and time limits, for lodging such an appeal, in writing. It is important to comply with Australian student visa conditions for the duration of your stay. Under Government legislation, students who break their visa conditions will face mandatory visa cancellation. During your studies, you can leave Australia and re-enter if you hold a valid visa. Otherwise you will need to reapply, pay the charge and meet the current visa requirements. Your student visa is not valid for permanent residence in Australia or for residence after you have completed your studies. You are obliged to leave Australia at the end of your studies. If you wish to enrol in a new course you need to apply for a new student visa before your current visa expires. If your current student visa has a no further stay condition you may not be granted a new student visa while you are in Australia. The institution in which you have enrolled will send you a confirmation of enrolment and an information package. This package will contain information on your selected course, accommodation options and important events that you should attend during the first weeks of study such as orientation week. It may include information about the city you are going to, its climate, your likely clothing requirements, information about local customs, shopping facilities, transport, banking, mail and telephone services, the estimated cost of living and the amount of money you should bring with you when you first arrive. It may also explain arrangements made for your welcome and settling-in period and the date by which you are expected to arrive. Contact your education provider if you don't receive this material before leaving your country. You may have to attend a pre-departure briefing and you must contact your institution or a local Australian Education Centre to arrange this. You will need to purchase your air tickets. We can assist you in finding cheap flights and arrange a home stay or other accommodation for 2-4 weeks. You can find permanent accommodation during this time. The Australian Government requires that you inform your educational institution of your address in Australia within seven days of arrival. You will need to notify them of any further changes of address within seven days. If you have not asked the institution to arrange accommodation you will need to book your own. Campus noticeboards and newspapers advertise other students looking for people to share units or houses. All students under 18 years of age must have their accommodation approved by their education provider. The international office of your institution may be able to help you find suitable accommodation, either on-campus or off-campus, once you arrive in Australia. You should also exchange some money for Australian Dollars. Australian traveller cheques are accepted in most major cities and there are auto bank facilities that accept major credit cards. The Australian Quarantine and Inspection Service (AQIS) website, can give you information in a range of foreign languages, on what you cannot bring into Australia and what cannot be sent to you through the mail from outside Australia. Anything sent to you from overseas cannot be packaged in cases that have formerly contained fruit, vegetables or timber. You will most likely be unfamiliar with transport when you first arrive. The institution in which you have enrolled will send someone to meet you at the airport and take you to your accommodation if you have organized this arrangement with them. You will be told how to get to your chosen institution on the day of your orientation. You may not receive the same orientation as the locals and may have special orientation at your institution from the international officer. They will introduce you to the institution's rules and regulations and help you with your timetable and any questions. 6.3 Can I change my course or institution? You must stay with the institution for 12 months or for the duration of the course provided it is less than 12 months in length. You may change your course but to do so you must apply to DIMA to change education provider. There may be a fee for changing courses or institution. We can help you for free to get your student visa for Australia! There is also a rundown of courses offered and the academic year time frame in Australia. Whether it’s an English language course, a bridging course or study at a Vocation Education and Training (VET) institute, guidance from the Go To Australia Agency is readily available. In the unfortunate event that an international student does not meet the requirements for studying in Australia in regards to the Australian Qualification Framework (AQF), there is also information on alternative courses that can lead to further study that has an AQF qualification outcome. In addition to these services, the Go To Australia Agency has a dedicated team of education agents there to answer any questions during study and can be contacted via email. While the Go To Australia Agency supplies all the technical and practical information international students might need, they also provide awareness on Australia itself, including the landscapes, states and territories, landmarks, art, music and culture in general. With all of this information and support available it is no wonder that Australia is fast becoming one of the most sought after study destinations for international students from around the world. 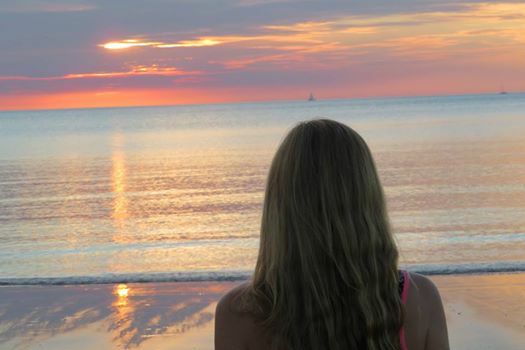 Whether it is a simple question or a specialised area of support, the Go To Australia Agency is there to help and offer ongoing support to those opting for a life changing experience in one of the most beautiful and unique countries in the world. Where would you like to study in Australia? In the city or in the countryside? Would you like to be part of a big university, or do you prefer a rather small campus? And of course: what level of qualification do you strive for (certificate, diploma, degree etc)? We'll help you to choose the right location, course and school! Select your Study in Australia Program! No matter if you are a working holiday maker, an intern, a skilled job seeker or even an international student. If you are looking for information on study and work opportunities in Australia, this site is for you! Each week, hundreds of international students choose to study in Australia. Some go to do a Bachelors degree, Study Abroad Program, some to pursue postgraduate study. Some go to vocational institutes, while others want to do a short business course or language course as part of a gap year. If you are seeking an efficient institute to study and make a head start in your career, you are at the right place. We, at AA Education Network, offer free consultations and services to help international students from all countries to study at a suitable institute in Australia. As a student you can come forward and contact us with the course you prefer to study. We will help you to get all relevant information regarding the courses, educational institutes that teach the course, tuition and miscellaneous costs, and lot more. Additionally, we also help you in giving detailed information about Australia, such as the living costs in the country, accommodation facilities, and student travel discounts and more. If you require part-time jobs as sitters or Au Pairs, we can give you useful references as well. You can consider our information and references authentic and useful to your needs. Those looking for visa information or needing assistance in visa processing, can also inform our counsellors as well. Irrespective of which country you come from or what language you know, we assist you to get a viable course of your choice. Write to our help desk for detailed information or assistance. Study Australia Fees - The costs of studying in Australia depend on the institution and the level of study you choose. Study-Australia agents help international students for free to successfully study in Australia. arrival procedures: after arrival tips, secured accommodation, living costs, student jobs .... more. Australia is known for its high quality education with world-class facilities, professional, experienced teachers, great support services and international recognition. Graduates from Australia have little difficulty finding jobs worldwide and are readily accepted for postgraduate studies internationally. Australian Government laws assure top quality standards. The Australian Qualifications Framework (AQF) is a national system of learning pathways that covers different qualifications, linking universities, vocational education and training as well as school education. Australia has a lower cost of living in comparison with the United States and the United Kingdom. The lower tuition fees and high standard of living are appealing for many students. You will find a wide range of cultural diversity in Australia with more than 20 per cent of Australians being born in other countries. Australians are welcoming, friendly and understand cultural differences. It is a safe and sophisticated society in which students can learn and travel. AA provides you with professional service, making your application process as simple as possible. We provide special offers where you have the opportunity to win free flights or great prizes! If you are considering studying in Australia as an international student, our site will provide you with useful information about the Australian Education System and how to apply for future studies in our leading-edge multi sector courses. Australia Universities are recognised as one of world's most progressive universities, offering its students a unique combination of academic and practical skills to enhance their career opportunities. Many international students from over 30 countries study at the University's onshore campuses, and over 4500 students are taught in countries such as Singapore, Malaysia, Bangladesh, Hong Kong, the People's Republic of China, Vietnam, Korea, New Zealand and Thailand. For further information regarding study in Australia and how to apply please click here. Applying to study in Australia and looking at credit for previous studies: Students may be granted credit for previous studies in higher educational institutions. If you wish to apply for credit transfer you must submit credit transcripts and a detailed subject syllabus with your application. The syllabus must include a subject outline, details of the assessment, and the duration of each subject. International Course Guides and Student Application Forms: Australia's international course guides for English language (ELICOS), TAFE, undergraduate and postgraduate programs can be received via email. Our agency can help you to understand your living expenses in Australia. We offer special discount, cheaper student accommodation and programs to help you to stay within your budget. Our counseling service is for free. Our education counselling is for free. Registered education agents do to charge for helping you to find courses or internships. However if you need the help of an registered immigration fees will apply. FOR ALL PROGRAMS: You are responsible for your expenses. That means you need to pay for your flight, visa, English course (including public transport to school) and your private expenses ON TOP of your placement fee. To find work in Australia you need to hold a visa with work rights. This can be a Working Holiday Visa or a Special Visa for internships (if you still study or recently finished your education). We can help you to find out about the visa fees. If you are from a country which is not eligible to apply for a Working Holiday Visa you can ask us if you can still work as volunteer. Student visa holders are allowed to work up to 20 hours per week. Studying in Australia is time consuming and exciting, if you are financially strained or have the time to work then this guide will help with looking and applying for a job in Australia. It is important to remember though that you are in Australia to study and this should come first. Potential employers need to be aware of your study load, timetables and assessments and exams which may be coming up. If a job does not fit with your study load do not take it. There are still certain rules to abide by, visa holders can not work until their course has commenced, they can only work 20 hours per week even during holidays. As students require a more flexible timetable, the most convenient fields of work are usually in the hospitality industry. To find a job, students can look in local newspapers or online. Websites such as www.seek.com.au and www.careerone.com.au have many job listings on them. Applying for jobs can either be done online, through the mail or in person. You will need to include a cover letter and resume. Resumes need to include up to date information, including employment history, education and qualifications, references (references are required from previous employers) and your personal details (these include name, address, phone number). Do not include a photograph, height or weight in your resume. It is optional to put your date of birth. Ensure both resumes and cover letters are written in good English. If an employer is interested in you they will contact you and organise a time for an interview. During the interview they will talk about the job, ask questions and show you around the place of work. This is a good time to bring up any issues about your timetable and study and work. Dress well, and listen closely. This is your first impression on a potential employer, make it a good one. If they are still interested they will either contact you at a later date, arrange a trial or another interview. Employers in hospitality will usually require a trial to make sure the potential employee is right for the job. Trials should be paid. It is up to the employee to be sure they do not exceed 20 hours work a week, it is also their responsibility to dress and act appropriately and turn up for work on time. It is the employers responsibility to pay the employee at the correct rate, they must provide a pay slip, they must pay the employee on a regular basis and provide adequate shifts. If you have any queries on either the workplaces behalf or your own, visit www.workplace.gov.au or call 1300 363 264. Most issues should be sorted with the employer, if issues are still not resolved contact the workplace ombudsman on the above number. Before starting the new job, be sure to have shifts organised and know exactly what you need to do on the job. If you are unsure ask questions. Shifts should be given to you at the beginning of each week or fortnight. Most meal breaks are not paid for although employees must take them. If you are unable to work a shift be sure that you let the employer know as soon as possible so they can make other arrangements. Employees are required to give 2 weeks of written notice when ending employment, this must be given directly to the employer. As must be done if the employer is ending the employment. If an employer is ending a contract, be sure it is for a genuine reason and not on the basis of race, gender, religion, political beliefs, or disability as this is illegal. If you have any concerns visit www.wo.gov.au. Short Term Studies in Australia will offer you the opportunity to fast track an Australian qualification or earn credit towards your degree. English language courses are targeted to specific purposes, such as English for Academic Purposes, English for Business and English for Computing. There are English language colleges across Australia and they offer a range of English language training courses to help you to improve your English language skills. Many Australian universities and vocational institutes also have English Language Intensive Courses for Overseas Students (ELICOS) centres on their campuses. If you haven' t studied Australian senior secondary school or a foreign equivalent, Foundation studies (also known as bridging courses) will help you meet the entry requirements of a Diploma, Advanced Diploma or Bachelor degree. Most courses are designed specifically to prepare international students for the Australian academic environment. Students can begin vocational education and training after secondary school (Year 10) or senior secondary school (Year 12). Courses are offered at privately-owned institutions and the government-funded Technical and Further Education (TAFE) institutes. Vocational education and training qualifications are popular in Australia because they are of a high standard, particularly compared to some foreign systems. They give you practical skills and industry experience. Many vocational institutes have links and agreements with universities. Through these links, universities may offer up to one year of advanced standing into a Bachelor degree as well as guaranteed entry into your course, when you achieve the required grades at your vocational institution. The higher the level of Certificate, the more responsibility you are likely to be given in the workplace. For example, a Certificate I in Business provides basic skills in a certain field and could lead to work as an office assistant. A certificate IV in Business provides a more in-depth understanding and could lead to more senior administrative work such as a senior accounts clerk. Diploma courses combine strong theoretical knowledge with a high level of technical and/or creative skills. These are a slightly higher level than a Diploma and require two or three years of full-time study. Many Advanced Diplomas have links to Bachelor degrees. The Australian academic year begins in early February for school students and late February/early March for vocational and university students. There is often an orientation week for new students in mid to late February. Schools generally have three or four semesters. Most universities and vocational institutes have two semesters with exams at the end of each semester in June and November. There is a two- to four-week break between semesters. The long summer holiday break is from November or December to February. Many courses have start dates in either semester. WHAT SHOULD I DO IF I DON'T MEET THE REQUIREMENTS FOR STUDYING ? Most courses and training done by international students in Australia on a student visa are covered by the Australian Qualification Framework (AQF). However, there are also a number of courses for international students that are registered with the Australian Government and are not part of the AQF. Many of these courses help students to meet the entry requirements for further study or may lead to further study with a final AQF qualification. These courses are called Foundation Studies or Bridging courses. We offer special work programs where you may spend three to four hours a day working in a business or for a family and learn English in addition. The family provides you with free accommodation and you may have the opportunity to join them with family activities. If you intend to study for less than 3 months in Australia you do not need to apply for a student visa: You may undertake any course of study for a maximum period of three months on a Visitor visa or Working Holiday visa. However, there are advantages to study for a Student visa. do not have work permission. We provide information about study in Australia. We provide information about study in Australia. Our study in Australia team provides FREE services for prospective international students. We represent more than 200 Colleges, TAFEs und Universities in Australia and can give comprehensive and professional advice in choosing the right institute/university. Study Abroad Australia with Go To Australia - Study Abroad in Australia - the land "Down Under". Study abroad in Australia. Find out useful and updated study abroad Australia programs to help you get a strong career as an international student. Studying in Australia saves money–living expenses and tuition costs are much less than in the UK or USA. Australia’s academic year changes depending on the institution, with applications for many tertiary courses closing in October the year before studies commence. Some institutions offer mid-year intakes for particular courses. Knowledge of the English language is a prerequisite for International Students to enter mainstream institutions. English language courses have more frequent student intakes. Most universities provide on-campus accommodation or can help students find a place to live. If you’re a full-time student you qualify for a range of concessions, including discounted travel and cinema tickets. Apply now to study in Australia! Study Australia Testimonials - You'll find below some testimonials from students who had the chance to to study in Australia. Libraries are great places. Apart from all those wonderful books and the helpful librarians, it is usually possible to find a quiet corner where you can set up your laptop and study. There will be other people walking around and possibly quite a bit of noise at times, however these distractions are remote, not directly related to you and thus easy to ignore. More importantly, the distractions that do relate to you, the television, your spouse, the kids having yet another fight, have all been left behind. Libraries are information centres ... but you knew that. Modern Australian libraries provide free, wireless internet access to their members so you can still access your university website, your lecture notes and still do the research that modern study demands. If you are overseas, your own local library may offer the same service. Studying in Australia gives a student solid academic achievement and a globally recognised qualification. Our education agents can help you to find education providers in Australia. Immersing yourself into another culture, polishing up your English language skills, getting the hands-on experience of living and working (international students are allowed to work up to 20 hours a week) in a modern, vibrant environment are some of the benefits of studying in Australia. Australian education is well known for its high quality standards that is why many multinational corporations recruit directly from Australian universities and vocational institutes. International companies employ overseas students with Australian qualifications because their experience of another country gives them a wider perspective and greater networks. Another key benefit of studying in Australia is the affordable cost with a number of scholarships and grants for high-achieving international students. Abundant university social life, all-encompassing, in-house student assistance and many internship or work experience opportunities (which are advertised on internal university portal) will allow you to have an experience of a lifetime. In the daily grind of being a student and performing work duties day in day out, it’s easy to lose sight of your goals and concentrate on life’s little obstacles. If we don’t have effective coping strategies in place to deal with the inevitable stress of everyday problems we could develop psychosomatic illnesses and/ or become incapacitated in performing our studies effectively. Consequently, developing effective coping strategies is vital to sustaining your overall health, well-being and learning performance. So, how can we sustain a positive outlook and tackle stress constructively? Well, as we all know, there are many self-help books and life coach gurus out there in infomercial land, ready to take your credit card details and send you a tape of cheerful affirmations. And for some people, this system of flooding the mind with ego-massaging messages really does work! But for others, such methods are as irritating as a 100 bull ants making a beeline for your picnic hamper. In short, there is no one fix solution for combating (student related and workplace) stress. However, there are a great many and variety of coping strategies which enable students to manage their responses/ behaviours towards situations they identify as being stressful. The unifying key to many of these strategies is to place the locus of power/ control within yourself as opposed to focusing possible solutions on the external environment (which often times is not controllable). By becoming mindful of your response to certain situations, you are harnessing a level of awareness which is vital if you are to understand and then manage your auto-response to situations you personally identity as being stressful. It also follows that as individuals, we each are responsible for our own response to stressful situations and how we manage them: essentially, we each have a choice every time a stressful situation presents itself to either engage in a proactive and healthy response/ behaviour or in a dis-empowering and ultimately toxic response/ behaviour. So, as they say, “practice makes perfect”: next time a stressful situation presents itself to you, instead of downing a packet of chocolate biscuits, try employing an energising coping strategy that gives you the ‘Winning Spirit’ to overcome adversity. Know What You Want: First, identify goals, then turn clarity into action. Don’t let fear or regret take you out of the game. Welcome Pressure: Want to be the best? Work with or compete against the best! Walk Like a Champ: Your life is not just about achieving success, but also about having a purpose and creating significance. Because of the top quality education, of course. And because Australia is acosmopolitan, dynamic and harmonious multicultural country. By studying in Australia, international students from all over the world gain the opportunity to experience this unique mix of cultures in Australia. Increasing numbers of international students are choosing Australia as their overseas study destination. Australia offers an education experience that makes a real difference. One of the most common responses from students in Australia is about the people. Australians are a very relaxed and casual group of people. Students have reported time and time again how Australians will take the time to talk to them no matter how busy they are. 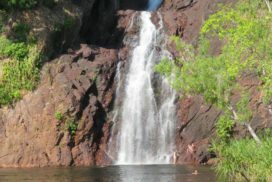 Wild life in Australia is unusual, hundreds and thousands of virgin places are still preserved as it is. Beautiful scenery, unpredictable weather but that's the way it is - as you can enjoy summer in the middle of winter and have your cuppa while rain is pouring in the middle of fall. Australia has a plethora of learning opportunities. There are thousands of different avenues and courses, which ultimately allow you the freedom to work towards your particular goals and career dreams. In Australia we pride ourselves on providing the experience a unique kind of education, no matter the course you choose. Studying in Australia promotes innovative, creative and independent thinking. You will be able to effectively cater your education to you learning style while some may jump at the opportunity to work as part of a team, intergrating effective communication skills and processes you will learn, working with others to develop the practical skills and intellectual abilities you need for global success. Others may prefer to to learn to use their own initiative. Utilising teachers who will encourage you to use original thinking, as you find critical and practical solutions to real-world problems. The Great thing about studying in Australia is that: upon graduation, your qualification will make you highly sought after by Australian and international employers. The Australian education system is given a strong international standing, having a reputation for its effective structure and innovative policy development. It’s also a compliment that many other countries, turn to Australia for advice, in order to improve their own education systems. With a vibrant multicultural society, modern economy and free, democratic government, Australia offers an excellent environment for students to progress in their studies. Australia is one of the best places in the world to study. Australia currently has over 400000 international students taking advantage of Australia's excellent education system. Australia caters to a diverse range of students, providing qualifications that are recognised around the world. Many travellers are attracted to Australia as a holiday destination to explore the natural wonders, such as Uluru and the Great Barrier Reef, and to enjoy the warm, sunny summers and mild winters. International students are well catered for, with good access to accommodation, highly reputed educational institutions, and established facilities for students from abroad. To live and study in Australia is a wonderful way to experience another culture while continuing on a pathway to reach career or learning goals. "Are you thinking about studies in Australia? It can open your eyes: to new educational approaches as well as to other cultures while studying, living and working in Australia. Studies in Australia will give you a broader perspective when it comes to academic insights, life experience, independence and multiculturalism." "One of Australia’s major exports is education. Australia studies have an international focus in their courses, exchanging staff with institutions overseas, participating in international forums, joining partnerships and projects with overseas institutions and research centres. No wonder Australia studies attract more than 230,000 who are currently enrolled at Australian institutions. One of them will be me..."
Students today have more choice then ever before with regard to destination and overseas experiences. Whether travelling to study, learn a new language, work or simply for the thrill of adventure, travelling provides a first-hand insight into countries and cultures as well as a new perspective on life. Discover life in Australia how it was meant to be lived – combine your work or study abroad program with exploring the vast beauty of the Land Down Under! Language classes in Australia are of a particularly high calibre. Even if you are confident with your level of English, you can study a French course Sydney or a German course Melbourne. If you think that your English needs a little bit of work, then there are of course no better places to improve than in either an English course Perth or an English course Adelaide. Work opportunities vary depending on your previously-acquired skills and of course the demand in that particular field, but travellers who hold working holiday visas for Australia never find a shortage of work in the hospitality, tourism or construction industries. There are an abundance of positions available in bars, restaurants, clubs, hotels, hostels and concert venues. It may not be your life ambition, but it’s a fun way to get out and meet young Australians and international backpackers and spend your time at work in a relatively relaxed manner! Make sure you have an appropriate level of English for whatever you plan to do in Australia. Whether you wish to travel, or are facing up to the reality of having to earn a few more dollars, an English course Brisbane will give you that edge in understanding the context of general conversation and aid your own self-expression. Make the most of your travels or find a job that suits your skills. 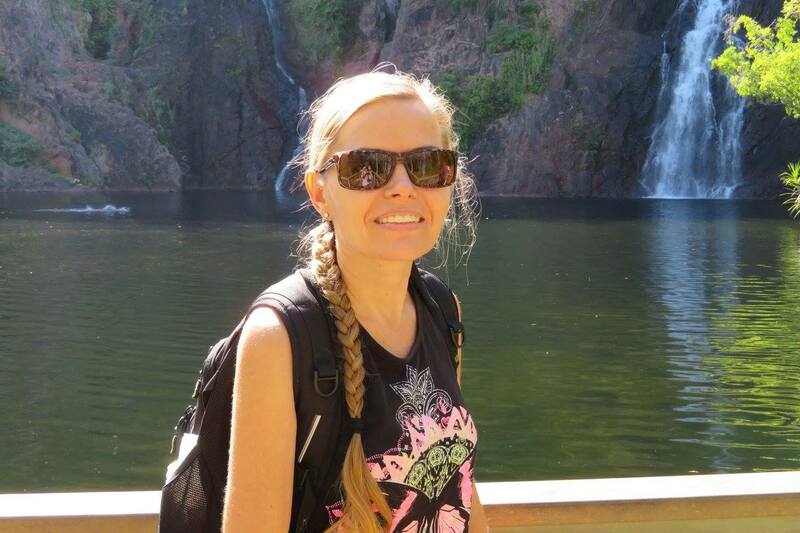 Master your English and go anywhere in Australia! Go To Australia is a unique company with a wide range of services to offer you – whether you’re looking for study options in English courses, internships, university courses, or even adventure or travel abroad. We were created to help interns, travelers, and international students. We have agents who can help you decide on and apply for anything from an undergraduate degree, to postgraduate degree, gap year course, work placement, or internship, making sure that whatever you choose is tailored to your needs and interests. Our goal as a company is to help global citizens move forward by providing services above and beyond any other agency. Our key objective is to give you comprehensive services and facilities to help springboard you to where you want to be. Not only this, but we are proud to say our services are free of charge. So what does helping global citizens really mean? It begins once you contact us and from there we do our utmost to help you – by helping to guide you in your research and choices as you decide where you want to work or study. Our range of services even extends to helping you with documents for applications, and we can break down how your information will be handled. We can even post your documents for you after checking them thoroughly ourselves for errors. We keep you updated every step of the way, and we can give you updates on the progress of your application within 24 hours of submitting it. We stay in touch with you, and update you regularly on the status of your application to help ease stress, and assist you throughout the whole process. Go To Australia is a recognised, experienced agency that uses its knowledge of the Australian education system to offer top services for prospective international students and help them find the best fit for them. Our students services cater to applicants of all ages and backgrounds, and include assistance in matters such as guidance on the right application process for a course, information on English language tests, as well as help with application forms, like translations, certified copies, and submissions. We also provide ongoing support once your application has been submitted. We can aide you in student visa issues like applications, extensions, and renewals. We can inform you on flights to and from Australia. We can help you organize student accommodation, and give you vital information about life in Australia, such as health insurance, bank accounts, public transport, and student discounts. And our services don’t end there. We are an agency that goes far beyond any other. We can give you guidance and support on all questions that may arise once you are in Australia, whether it is how to find share accommodation, or if you can bring a pet, or a school for your children while you study, as well as communication problems, stress, or cultural shock. With anything you may face, we are always right behind you, ready to help you plan your Australian adventure. Our education agents are always happy to hear from you and available to answer all your questions before, during and even after your stay in Australia. Take a look through our website where you can find information on how to find a job, moving, travel study and work in Australia and New Zealand. Your future is at your fingertips! Just contact us and we will do all the paperwork, stressing and worrying for you! Returning home once you’ve completed your studies will pose many challenges. Not only must you begin contemplating your career and other decisions for the future, you must also readjust to life at home after a prolonged absence. Some institutions offer seminars to help address the range of practical and emotional issues faced by international students at this time. Alumni associations are university networks that aim to maintain ties amongst graduates once they have completed their studies, and support them in their career pursuits. There may be an Australian alumni association your home country, or you can contact the one in your university in Australia. Here you may find a supportive group of like-minded graduates who have undergone similar experiences, as well as a range of services to assist with your career development. The learning style of Australia is different to most countries; our lessons evoke creativity, individual opinions and open debate and a thorough understanding of a topic/subject. You will be required to participate in class discussions where you can express your own views and thoughts to young Australians. You will be assed on a combination of assignments, exams, participation in class, attendance and your contribution in study Australia group activities. Plagiarism can have major consequences in Australia which can jeopardise your student visa in Australia. Plagiarism in where you take someone else’s work and say it is your own in an assessment task. This can include large amounts of text copied from a book where the author wasn’t credited for it. The international office in your institution should be able to help you with referencing. Study in Australia - one of the safest countries in the world: When it comes to sending their children to gain excellent education with a high level of confidence, Australia is a world leader. The education which students receive in Australian schools and universities is second to none. Australia's educational institutions provide qualifications that are globally recognised. The cost of study in Australia is highly competitive compared to major educational centres in Europe and in America and again, Australia is a world leader making it an attractive proposition. Generally the cost of living for a student is around AU$250 per week (AU$8,500-10,000 per year) not including tuition. The Study Abroad Australia Experiences section is intended to provide information and advice on all things related to studies in Australia: We advice you on selecting the right course, institution as well as program. Send us your study abroad in Australia experiences! These students come from different countries and study different programs. But they all have one thing in common - they enjoy studying in Australia, living in Australia, and talking about their experiences. Australia Study Abroad Application If you want to Study Abroad in Australia, please contact us. Australia - a country with numerous facets Australia - a country with numerous facets I already had the possibility to experience down under and the people living there during my study abroad semester this year. The next paragraph is a broad overview about my impressions. Australia is famous for its nature and its wildlife. One impressive example is the Red Centre with the Ayers Rock, a holy location of the Aborigines. If you are in a metropolis such as Sydney, it is also a stroll away from the mountains or from the beaches. You are in a few hours in the Blue Mountains where you can enjoy nature and walking. On the other side you can relax on the beaches, for example at Bondi Beach, which is well-known for surfing. You can find this diversity all around Australia. It does not matter where you are; if you are in a small city or in a big city. Like its nature the people who are living in Australia are also from different nations. I got to know Asians, Americans and Europeans during my time in Australia. The Australian people are open-minded and friendly. One example for their friendliness is that you thank the bus driver when you go out of the bus; or you ask the check-out girl/boy ... How are you?? These are common gestures in the Australian culture. Modern and ancient, nature and industry - a high-contrast country! That is why I am so fascinated by Australia. Australia Study Abroad - Study Abroad Australia Program If you want to Study Abroad in Australia, please contact us. 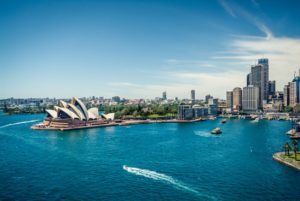 How interning overseas enhanced my skills and prepared me for the future Study abroad program Australia: a successful mission as there are internationally accepted qualifications, top global institutes and friendly living conditions. Check details. Study Abroad Program Australia - Study Abroad Australia Program I am currently half way through a degree in International Studies with majors in International Relations and Asian Studies at Flinders University. Interning overseas, particularly in Asia, before I have even reached my final year of studies gave me practical experience other students do not have. My studies in Australia were enhanced by the knowledge I gained at the Malaysian Cancer Council, like practical independent working skills and the ability to effectively lead projects, one of my responsibilities at the Council. Apart from these more general benefits, my contribution to Asian Studies classes after returning to Australia was further enhanced by the experience of working in Malaysia, my university papers are more informed and nuanced in their arguments and my Malay language ability has improved. I have also obtained study credit in an elective topic for doing the internship. Having already completed an exchange program at high school and university level in Malaysia I was prepared to make the most of the experience. It is clear to me that both international study and internships give students skills and experience they cannot acquire at university, putting them years in front of their peers. Australia Study Abroad - Study Abroad Australia Program If you want to Study Abroad in Australia, please contact us. "Study abroad programs range from high school cultural exchanges to college-level classes, often for credit. In order to choose a program that best fits your needs, you will want to find out what kind of students participate in the program and what sort of accommodations are provided. In programs that have large groups of students who speak the same language, there is a trade-off. You may feel more comfortable in the community, but you will not have the same opportunity to befriend other international students. Dorm life provides a better opportunity to mingle with fellow students, but there is less of a chance to experience the local scene. If you live with a family, there is potential to build lifelong friendships with natives and to experience day-to-day life in more depth, but conditions can vary greatly from family to family. A good resource for finding programs that cater to your particular interests is Go To Australia which has links to various semester abroad programs based on a variety of criteria, including desired location and focus of study." If you want to Study Abroad in Australia, please contact us. International students applying to study in Australia have to demonstrate financial funds to show that they will be able to sustain themselves while studying in Australia. AUD 3,040 - for a dependent child. Welcome to our Parents and Carer Information Portal, and those interested in issues surrounding school & university education. Please send us an email to get advice about our school program. If you want to Study Abroad in Australia, our professional team will guide you through the entire process! Receive a comprehensive guide to study abroad Australia and study abroad New Zealand with career prospects, universities and colleges, professional institutes, industry associations, jobs and immigration rules in Australia and New Zealand. This site is of particular interest to students, pupils and parents, work and travel people, and professionals such as business managers, accountants, financial planners, software developers, systems analysts, engineers, doctors, nurses, lawyer, teachers, professors, chefs, catering managers, news reporters and media specialists and journalists. This site also contains many helpful hints on choosing the right career and landing a well-paying job that is best suited to one's skills and interests. Many universities even partner with institutes in other countries and initiate student exchange programs. Each year students from foreign countries arrive in Australia as a part of the student exchange program. Technical training, English learning, and hands-on experience are part of the curriculum. Recently, quite a number of young professionals choose internship programs in Australia rather than going for long-term traditional courses. Vocational courses often end up in hands-on experience, such as those in culinary and hospitality sectors. Short-training programs for English allow students to develop practical skills after which they can either study further or get jobs in the international market. Teacher training sessions are also similar to such practical programs. These programs are not so expensive and students don’t require staying in Australia for long. Often, student exchange programs are not costly. The students need to pay tuition fees that they usually pay in their home country. If you are looking forward to know more about such short-term practical programs or scholarships to study in Australia, write to our student counsellors. Every international student who wants to study abroad in Australia is granted a student visa. These courses must be listed on the Commonwealth Register of Institutions and Courses for Overseas Students (CRICOS courses). Whether you want to study English abroad or take a Master Degree, you will certainly gain a student status in Australia. International students granted a student visa abroad in Australia are eligible to work up to 20 hours per week during term time, and even full time during vacations. Receive free advice on language schools abroad. Learn english at one of the best language schools in Australia! It is now possible to study with one of the top universities or live with an Australian family and learn Australian culture, language etiquette, and more through student exchange programs. Conducted by institutes, these programs are safe and hassle-free. Student exchange programs are quite common in Australia where top universities, colleges, and high schools tie up with institutes in foreign countries. There are also government organizations which help students, especially those studying higher education to take part such programs. These organizations help institutes to form partnerships with similar educational providers in other countries. Top universities partner with similar institutes and organize exchange programs where students learn innovative tips from experts in the foreign university. They may study for one or two semesters and get credits for the certificates they earn in their home turf. The option is available at all realms in the Australian education system. For instance, there are high school exchange programs where students from non-English speaking countries visit Australia to get trained in English. 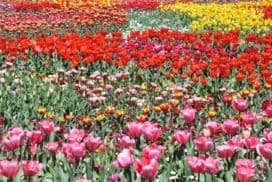 There may be excursions, fun-filled tours, or intense travelling too during such tours. Host families provide accommodation to students coming over to Australia on a student exchange program. The students must have the prerequisite qualifications and English proficiency to take part in a student exchange program. The language criterion differs however, from one institute to another. Apart from short-term training programs, there can be research activities for university students. These include engineering, health, IT, and environmental science. Universities recommend students who will participate in a student exchange program. However, if a student is not selected by the university, he or she can still take part in the program. The student must apply independently to the Australian university and take admission as a study abroad student. Student exchange programs enable students to make friends, learn new culture and knowledge. It helps students to be confident and make suitable career moves in the future. Are you looking for student exchange programs in Australia? Write to our student counsellors specifying your qualification and interest to get valuable information. Study abroad Australia programs range from high school cultural exchanges to college-level classes, often for credit. In order to choose a study abroad Australia program that best fits your needs, you will want to find out what kind of students participate in the program and what sort of accommodations are provided. In study abroad Australia programs that have large groups of students who speak the same language, there is a trade-off. You may feel more comfortable in the community, but you will not have the same opportunity to befriend other international students. Dorm life provides a better opportunity to mingle with fellow students, but there is less of a chance to experience the local scene. If you live with a family, there is potential to build lifelong friendships with natives and to experience day-to-day life in more depth, but conditions can vary greatly from family to family. 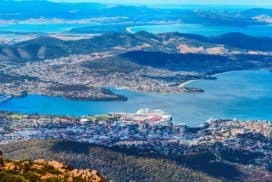 A good resource for finding programs that cater to your particular interests is www.http://www.studytravelwork.com.au/, which has links to various semester abroad programs based on a variety of criteria, including desired location and focus of study. Australian universities are known worldwide for their teaching excellence. Vocational courses, college education, and internships programs also attract thousands of young students from all parts of the world, especially the Asia-Pacific region. However, meeting the expenses can be a little tough for many. Surveys show that studying in Australia is quite expensive. An International student has to meet tuition and living costs in order to get world standard education. There are study tours, projects, and non-paid internships where students must have the financial support to avail them. Here are some ways in which expenses can be tackled by students. Australia has scope that allows students to study diverse subjects. The choice of the institutes are also many. You can study long term semester-wise courses or short-term training courses in Australia and manage your finances accordingly. Top universities offer scholarships for meritorious Post-Graduate students for specific courses and research work. Scholarships can be government sponsored or funded by companies. Special government sponsored funds are available to international students studying long-term courses that have 2-to- 4 semesters, such as Masters and teacher’s training program. There are scholarships awarded for short-term research work as well. To take advantage of our latest offers & discounts, please contact our professional team! 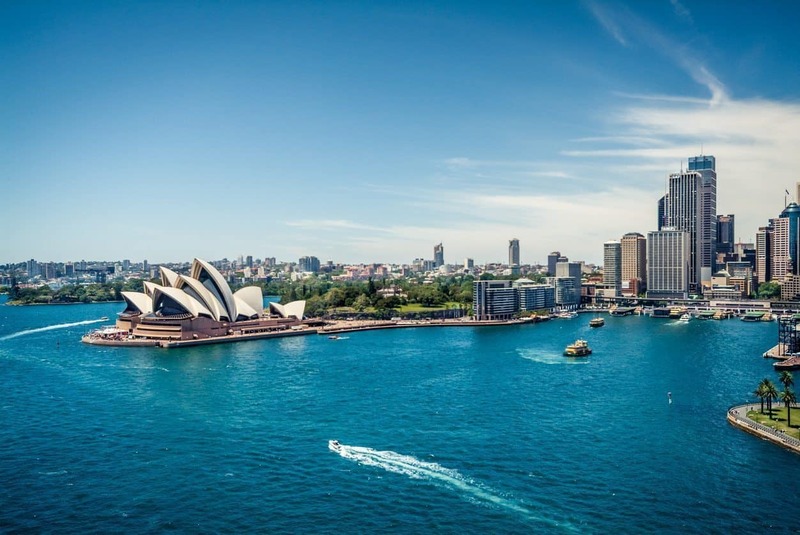 Australia Study Abroad and other non-award study programs Study Abroad Program Australia - Australia Study Abroad We are seeing an interest from a number of students, seeking information on Study Abroad Australia and associated programs. What is a Study abroad? This is a program where students who are enrolled in a bachelor degree at their home university can enrol for one semester in 3 or 4 bachelor subjects at the University of Wollongong. Students receive a transcript from the University of Wollongong for their studies here, and these are credited to studies at their home university. Normally students would have finished at least one year of their bachelor degree, and must reach an equivalent English level of TOEFL 550 (PBT), 213 (CBT) or 79 (iBT) before they start the program. Wollongong College Australia offers academic English courses which prepare students for this program, and provide an English for Tertiary Studies course which students can take without the need to take a further TOEFL test. Wollongong College Australia can offer customised study tour programs for groups of students from a college or university. This study tour can consist of English language training and/or academic components and/or leisure and challenge/social research activities. For all or some of the study tour components, the home university may choose to grant credit exemptions. Australia Study Abroad - Study Abroad Australia Program If you want to Study Abroad in Australia, please contact us. Please feel free to send us an email in order to receive information on educational institutions in Australia for international students. We'll help you select suitable institutions and courses for free! Interested in studying abroad in Down Under? We help you to select the right university for your study abroad Australia adventure. Please send us details about your study abroad plans and we will assist you for free with all kind of matters to prepare your stay in Down Under. Short Term Summer Study Abroad Programs Invite Gap Year Students, Fresh Graduates, or Job Seekers to Check Out Australia Study Abroad Australia Program Young graduates from Asia Pacific and South East Asian countries arrive each year in Australia to participate in the summer camps. From hospitality to culinary and catering services, you can try your hands in many projects. Short outdoor education is also popular. Short Term Summer Study Abroad Programs Invite Gap Year Students, Fresh Graduates, or Job Seekers to Check Out Australia Summers camps are quite popular in Australia and each year thousands of international students visit the country to take part in short-term summer projects. The options are varied that can range from a trip to the Outback or coastal areas of Australia. Some learn Business English or writing skills. If you are lucky, you can enjoy a month-long session at Sydney Opera House or learn imagery at a photography workshop. There are others who take part in community service as well. Field Trips These trips are for a very short duration, say a week long. However, round-the-clock practical work helps students to learn the secret of the trade efficiently. Common field trips are generally tours to the Outback. Students learn photography, enjoy a trip to the rainforests and take part in ecological projects, and many more. At the end of the trip, you may get an opportunity to showcase work of art in a gallery or get certificates of your hard work. Often, the work can fetch credits if you wish to study further at an institute in Australia. English Training Study abroad programs are especially created each year to allow students from non-English speaking countries to come over to Australia and develop their communication in English. One of the best ways to do so is by enabling them to spend few days at a homestay where they learn the Australian culture and mode of communication. Some workplace projects are also organized. Hospitality students can take up short summer camps organized in plush resorts where they work at the front desk and meet customers. Academic Bridging Courses Write to our counsellors for useful suggestions and tips to easily study abroad in Australia. Australia Study Abroad - Study Abroad Australia Program If you want to Study Abroad in Australia, please contact us. Apply to Study in Australia - Take a step toward your dream career and study in Australia! After successfully completing the Bachelor Degree, students can follow on with graduate study in Australia. A „Graduate Diploma“ or „Graduate Certificate“ can be earned by finishing graduate study in Australia, which takes one to two semesters. Contact us and receive free student services!